The Hon. 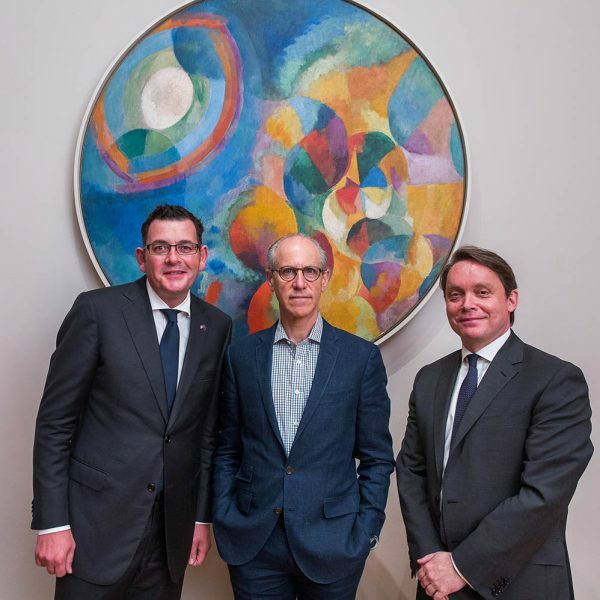 Premier Daniel Andrews, Glenn D. Lowry, Director, MoMA, and Tony Ellwood, Director, NGV in front of Robert Delaunay’s Simultaneous Contrasts: Sun and Moon, 1913 (dated on painting 1912). Photo: Scott Rudd. 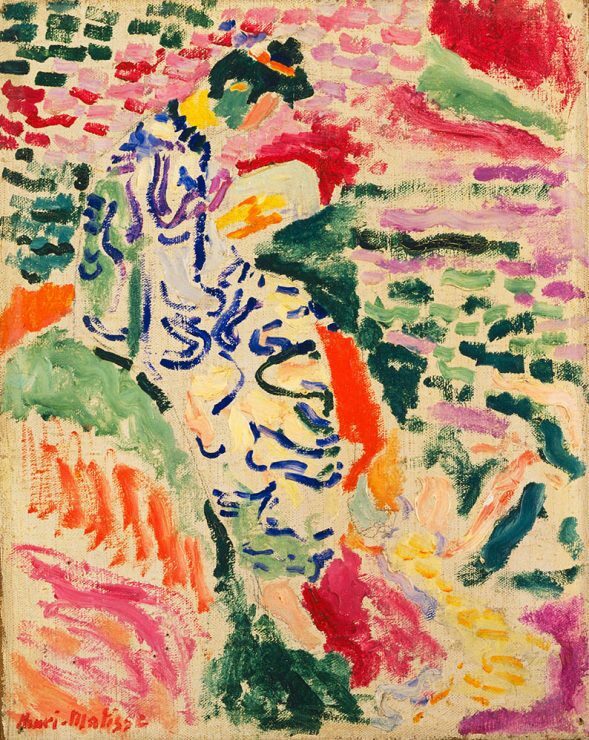 Henri Matisse, (French, 1869–1954), La Japonaise: Woman beside the Water Collioure, summer, 1905, Oil and pencil on canvas, 13 7/8 x 11 1/8″ (35.2 x 28.2 cm), The Museum of Modern Art, New York. Purchase and anonymous gift © 2016 Succession H. Matisse / Artists Rights Society (ARS), New York. Vincent van Gogh, (Dutch, 1853–1890), Portrait of Joseph Roulin, early 1889, oil on canvas, 25 3/8 x 21 3/4″ (64.4 x 55.2 cm), The Museum of Modern Art, New York. Gift of Mr. and Mrs. William A. M. Burden, Mr. and Mrs. Paul Rosenberg, Nelson A. Rockefeller, Mr. and Mrs. Armand P. Bartos, The Sidney and Harriet Janis Collection, Mr. and Mrs. Werner E. Josten, and Loula D. Lasker Bequest (all by request). 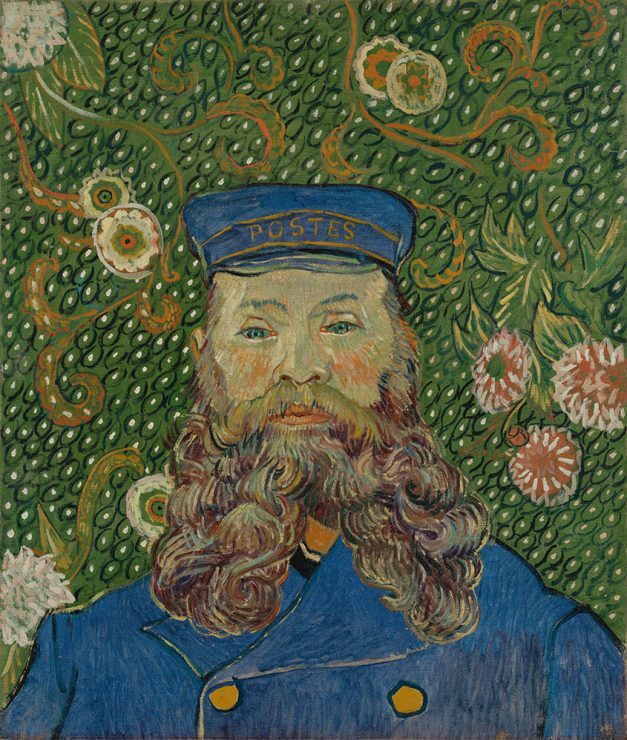 It may only be the first day of winter for 2016 but the National Gallery of Victoria already has its eyes set on an exhibition slated for two years’ down the track. Today it was announced that the Winter Masterpieces series opening in June 2018 would feature some 150 iconic works from New York’s Museum of Modern Art (MoMA). 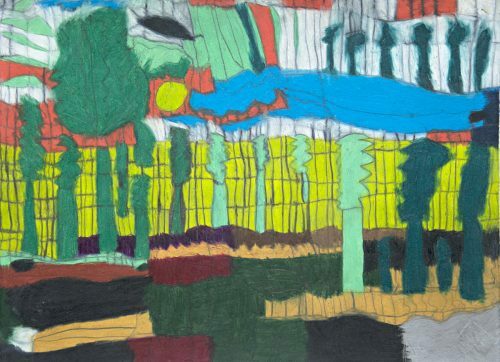 The showcase will include heavy hitters and luminaries from the past 130 years of art and design including Paul Cézanne, Salvador Dalí, Marcel Duchamp, Edward Hopper, Jeff Koons, Henri Matisse, Piet Mondrian, Pablo Picasso, Jackson Pollock, Lyubov Popova, Mark Rothko and Vincent van Gogh. MoMa sees in excess of 3 million visitors a year and is a cultural pit stop on many tourists’ New York itinerary. 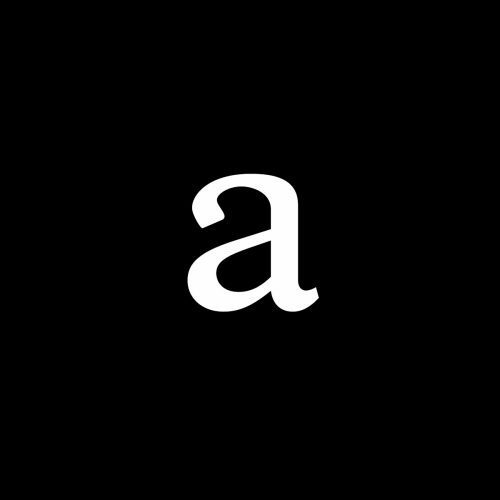 Glenn D. Lowry, Director, MoMA said: ‘MoMA’s mission is to share our story of modern and contemporary art with the widest possible audience, to encourage the understanding and enjoyment of the art of our time. We are thrilled to have this opportunity to share these important works from nearly every area of our collection with the NGV and the many visitors who will take advantage of this rare opportunity. Salvador Dalí, (Spanish, 1904–1989), The Persistence of Memory, 1931, oil on canvas, 9 1/2 x 13″ (24.1 x 33 cm), The Museum of Modern Art, New York. Given anonymously © 2016 Salvador Dalí, Gala-Salvador DalíFoundation / Artists Rights Society (ARS), New York. Masterworks from MoMA will be on display at NGV International from 8 June 2018—7 October 2018. 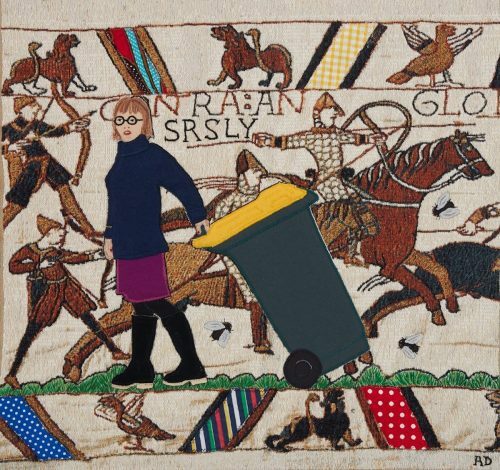 In her solo show Extra, Adrienne Doig stitched herself into reproductions of the Bayeux Tapestry. This cheeky act of historical revision highlights the fact that in all propaganda, as in all histories, the officially sanctioned version is never the whole story. In a world of porous borders, artist Ivan Sikic traverses contexts and countries drawing the global gaze to social justice issues.